Basically in SPO, default.aspx are discontinued however while migration default pages also get migrated. Here this piece of code finding default pages as it may set up Homepage of sites. Here, we are finding those default pages across site and subsites and approving it along with the particular user who created or modified. # Pass Site URL and Library Name as Inputs. Add - Type - Path "C:\Program Files\Common Files\microsoft shared\Web Server Extensions\16\ISAPI\Microsoft.SharePoint.Client.dll"
Add - Type - Path "C:\Program Files\Common Files\microsoft shared\Web Server Extensions\16\ISAPI\Microsoft.SharePoint.Client.Runtime.dll"
Add - Type - Path "C:\Program Files\Common Files\microsoft shared\Web Server Extensions\16\ISAPI\Microsoft.SharePoint.Client.Publishing.dll"
$q.ViewXml = "<View Scope='RecursiveAll' />"
Moderation Status is a 4-byte integer indicating the moderation approval status of a list item. Configurations can require moderation approval to publish a list item or allow automatic approval. A published list item MUST have a Moderation Status of 0. The following are all possible valid values for Moderation Status. SharePoint 2013 Hosting UK – HostForLIFE.eu :: How To Connect To Microsoft Teams Using PowerShell? Microsoft Teams PowerShell cmdlets are currently available in beta version and this would be helpful for Microsoft Teams administration and management. Open PowerShell window and run the following command to Install Microsoft Teams Module. Run the following command to add Teams module to the current session. Run the following command to connect to Microsoft Teams. Run the following command to get all the teams. Thus in this blog, you saw how to connect to Microsoft Teams using PowerShell for service administration and management. SharePoint 2013 Hosting UK – HostForLIFE.eu :: How to Overcome Yammer URL Encoding Issues in the Webpart Title? In this blog, I will demonstrate how to overcome Yammer URL encoding issues in the webpart title. I have added a content editor webpart to embed a Yammer group feed and it works fine. Further, we have configured webpart title URL to point to that Yammer group, so that the users can open group conversations in full window. Group link is copied from the address bar of that specific yammer group, as shown below. Surprisingly, after saving the page webpart, title link didn’t work. After having a close look, I noticed ‘#’ is replaced with ‘%23’. Here are some approaches to fix the issue. Format yammer group URL as below. In this blog, you will see how to get all the lists which have unique permissions from the root site as well as sub sites using PnP PowerShell. You can download setup files from the releases section of the PnP PowerShell repository. Copy the below script and paste it in a notepad. Save the file as GetUniquePermissions.ps1. write-host -ForegroundColor Yellow $list.Title " has unique permissions"
Thus in this blog, you saw how to get all the lists which have unique permissions from the SharePoint online site using PnP PowerShell. Using PNP, we can retrieve the complete backup of a site but just to move the site columns from one to another, we need to write custom PS scripts. In this article, I am picking a Site Column group and provisioning it to another site using PNP PowerShell. Before proceeding, we need to ensure that the SharePoint Online Management Shell is installed on your machine. If not, use this link to download and install it. Also, we have to make sure that we have enough permissions to retrieve the field schema from the source site and to provision them in the target site. If we are provisioning inside the same tenant, there won’t be much trouble in provisioning taxonomy fields. If we need to provision the taxonomy fields in a different tenant, we should have term store related permissions. Otherwise, we are not able to create term sets which, in turn, affect the PNP provisioning process. I am considering PSSamples site from my tenant as source and will proceed to move the site columns from a Site Column group called “My columns”. I will get all the site columns that come under this group, using the below PS script and frame it as a PNP provisioning XML. $flds= Get-PnPField -Group "My Columns"
I enclosed the schema of the XML inside the PNP Provisioning schema format which was released on Jan 2018, so that we can provision the result XML to a target site using PNP core libraries. After running the above code, we will be getting an XML like below. Save the XML in a separate file and run the below script to provision it to a target site. Connect-PnPOnline -Url "https://*********.sharepoint.com/sites/content1" Apply-PnPProvisioningTemplate -Path "C:\Users\ADMIN\Desktop\fields.xml"
PowerShell will show some interactive progress bar where we can see the field by field updates. If needed, we can log that the process has been running in the background. After provisioning, go to the target site’s site settings and then go to Site Columns page to see the changes made to the SharePoint site using PNP provisioning. 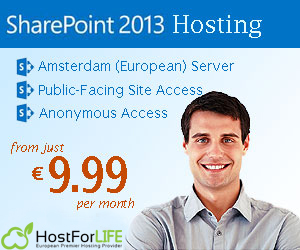 SharePoint 2013 Hosting – HostForLIFE.eu : How To Update The Hyperlink In The SharePoint Online List Items Using PnP PowerShell?